Originally published in 1953, Leon Uris’s Battle Cry is the raw and exciting story of men at war from a legendary American author. This is the story of enlisted men - Marines at the beginning of World War II. They are a rough-and-ready tangle of guys from America’s cities and farms and reservations. Led by a tough veteran sergeant, these soldiers band together to emerge as part of one of the most elite fighting forces in the world. With staggering realism and detail we follow them into intense battles - Guadalcanal and Tarawa. 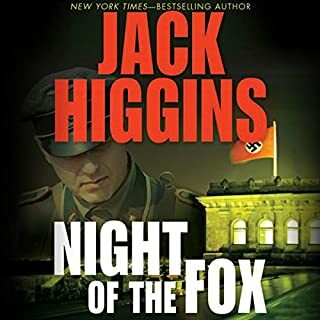 This is Jack Higgins first book and in my opinion his best. I consider it a classic in that I will want to listen to it again and again. Written not too long after WW II it tells an interesting story that could have been. 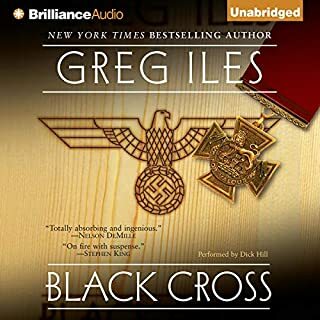 It will appeal to not only WWII fans but to anyone who likes a good story with suspense, a little humor, history and even common philosophy. 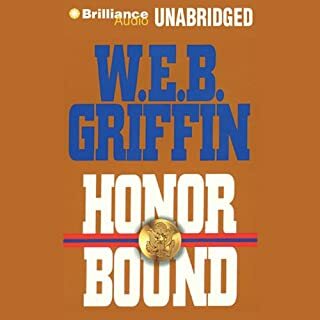 The narrator was great for this book and really adds to its listening pleasure. Readers will want more of Jack Higgins books but beware none are as good as this one. They range from good all the way down to real pot boilers. Read all reviews carefully. What did you love best about The Eagle Has Landed? This was a very interesting story, and had been made into a wonderful movie in the 70's. the book goes deeper into the history and background. I think my favorite was the leader of the German commandoes. But that may have been influenced by the fact that a young and dashing Michael Caine played him in the film. I think it would be the ending of the book. Different from the film, I found it gave a credibility to the story that left me believing it really may have happened. I wish I could have. I was on a road trip that made it a little easier. Being alone, I was able to continue listening when on food stops. I really liked the reader. the pace was good. I could differentiate the different characters. It was a good listen. Great book. So glad I listened to this one. Why now? Because it's a classic!!! This is Jack Higgins at his finest. Not to say later characters are not good, but this introduction of Liam Devlin, and Kurt Steiner is wonderful, decades after I first read it. Unlike some later Higgins books that are copies of themselves, the imagery is rich and the characters lovingly crafted. The German paratroopers are not all evil monobrow Nazis, the IRA gunsel Devlin is a man of parts, and there are times where you root for Steiner to succeed, the way you rooted for Forsyth's Jackal (the Edward Fox variant not the Willis tripe). If it's been a long time since your first read, invest in yourself and listen to this book. While the reader's accent and locution is sometimes hard to follow, the story is wonderful and you feel for Devlin, Steiner, Radl and the people of Studley Constable. Also Higgins characterization of Himmler is so intense, every time he is in a scene, I see Donald Pleasance in full character. 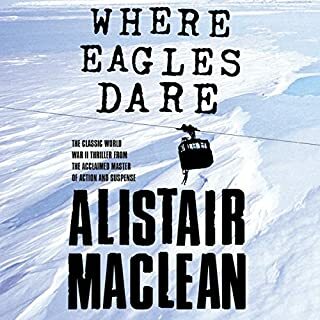 I have read many of Jack Higgins's books and enjoyed them all but none as much as The Eagle Has Landed. The characterizations bring each person in the story to life and the pace quickens almost exponentially to a most unexpected denouncement. Liam Devlin, rogue that he is, figures as one of the most likeable of enemies. 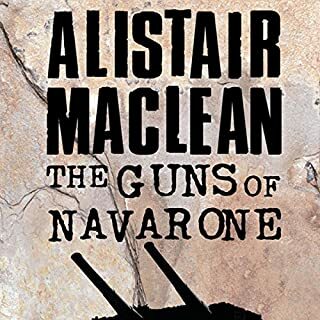 There are so many really good people caught up in the evils of war interlaced with each other and the fabric of a small, out of the way coastal village that the tale flows so fluidly that before you realize the passage of time you have turned the last page. A rare treat. This book flows like a movie. The author does not waste time on details that you don't need or things you can figure out yourself. Instead he spins an exiting, fast moving, and almost believable story that I had a hard time putting down. The narrator does a great job of giving life to the charactors. ...as this project has perhaps too many men with too many names in rather a lot of rooms conversing in quite a few accents. Yeah, the planning stage for a heist has been known to drag other tales down too. Maybe I'll skip forward to the action and just imagine all the chin wagging I missed. And does Himmler have to look so gosh darn evil every time our writer conveys his physicality to us? Less would have been more. For planning more intense, but from real life, try Operation Mincemeat or Agent Zigzag - both by Ben Macintyre. If I dive back into the story and finish I'll come back and add an addendum to this rather ungenerous blurt of mine here. If you're a WWII buff, enjoy spy stories, or just enjoy a good story with romance, intrigue, and adventure, you'll really enjoy this book. The author challenges you to decide if it's true, or even plausible. It certainly seems plausible to me, and I would not be surprised to find out about dozens of other similar stories of WWII. 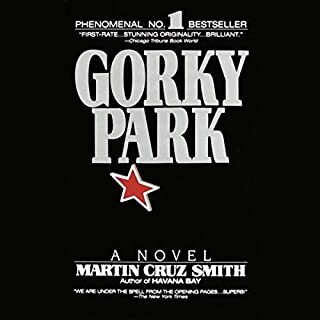 I read this book 30 years ago and loved it then. listening to it now has been really interesting. I had forgotten much of the minutiae of the story, but the central story was as good as ever. Excellent story from WWII. Almost hard to believe. The fact that Higgins discovered it is amazing. 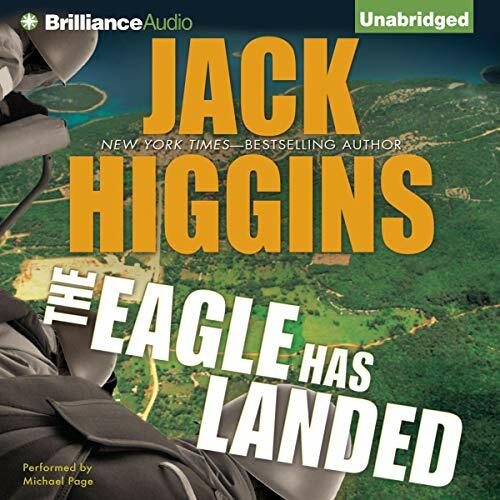 Where does The Eagle Has Landed rank among all the audiobooks you’ve listened to so far? It is, for the most part, true!